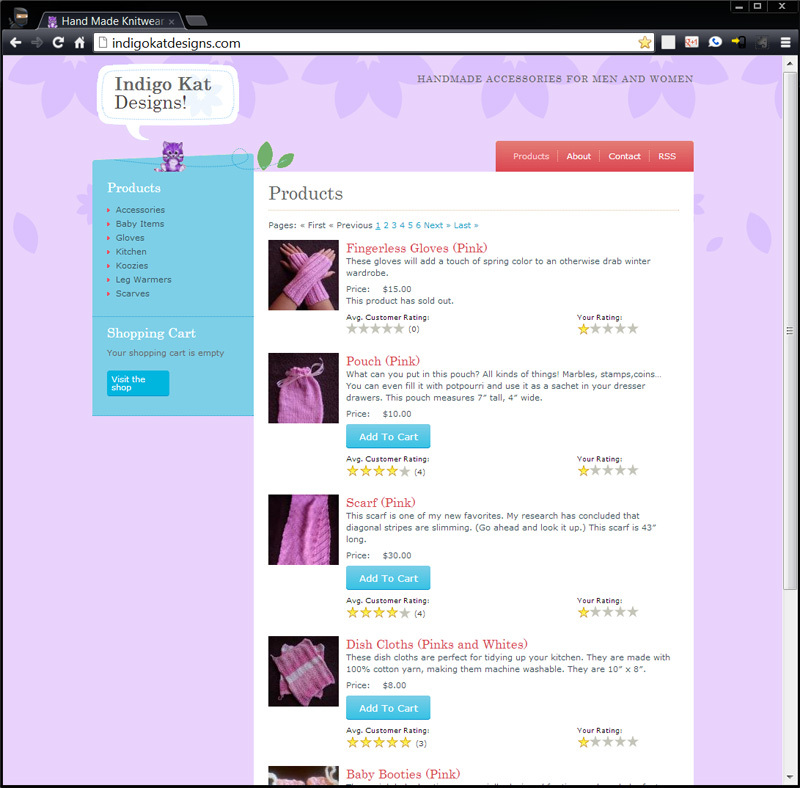 Indigo Kat was looking for a cute & simple website to sell her knit-ware from. Being a new business venture, Kat was not interested in spending lots of money on “deluxe” online shopping carts. The goal was simply to make available her wares online for purchase, without breaking her own budget. That’s it. To that end, I’m happy to say that I crushed it. 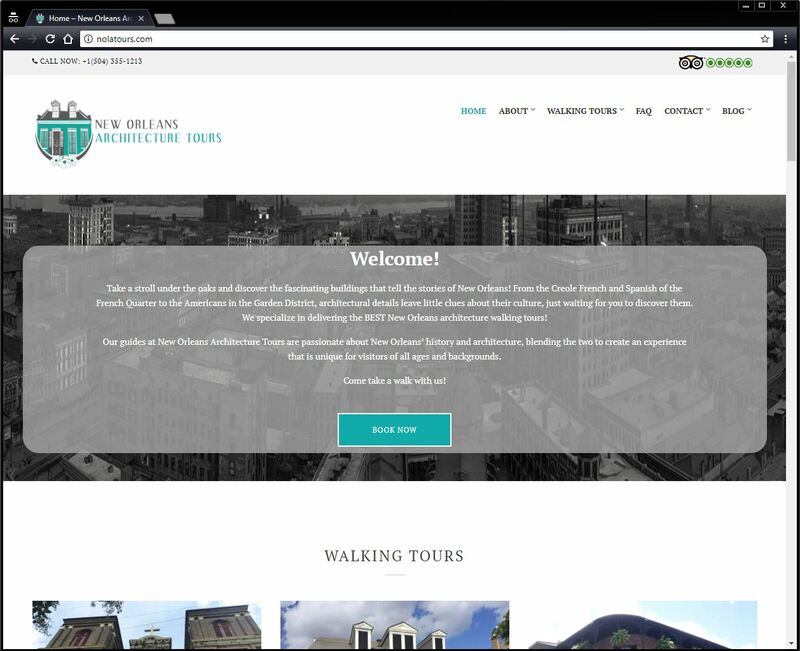 Wordpress was an obvious platform choice, both for its ease-of-use, and its extensive list of available Custom Themes, among many other reasons. Within short order we found a perfect theme match with minimal additional customizations required. We then set up a free Paypal Business Account for Kat, which was then tied to her checking. After that was done every new product we added to the site was instantly available for purchase online! It was a lot of fun working with you Kat. Cheers! This list wouldn’t be complete without listing myself. I am (and continue to be) the numero uno customer, and I needed a site that would simplify my own life, online. With a varied base of interest, I had built several sites over the past decade. At the time, many would never be considered related, and so I just kept them that way over the years; separate. It dawned on me to FINALLY consolidate them when I realized they were all technology related sites. So, I launched this site and am going through the ardous process of organization and consolidation. And even though I AM a web designer, I am also not interested in re-inventing the wheel, nor complexity for the sake of it. Wordpress wins again. Love that template too! 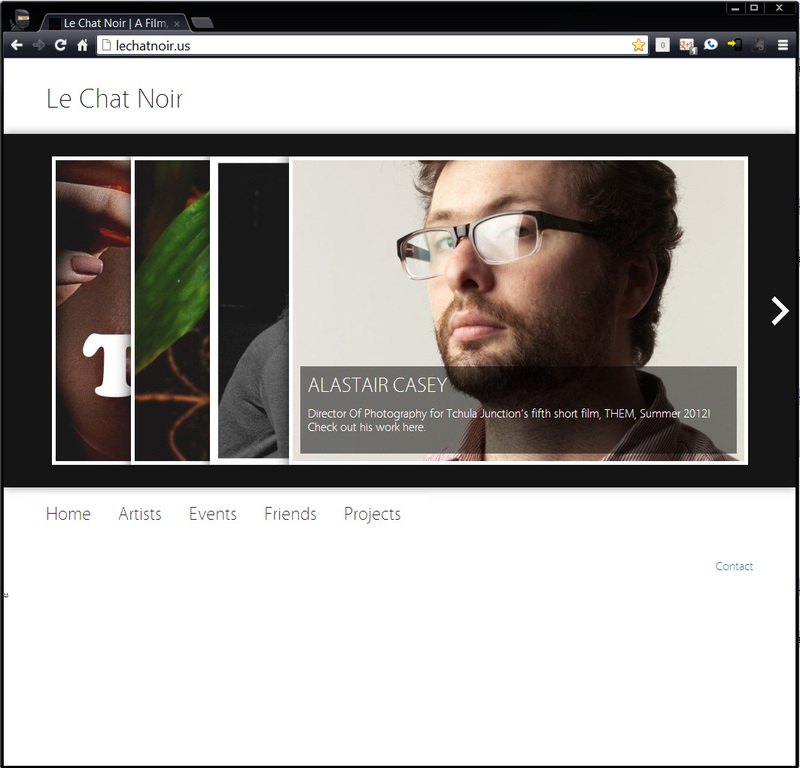 Le Chat Noir is an Artists Collective headquartered in Williamsburg, NY. These guys are into everything from writing, photography, music & film production, to hosting local fundraising events and parties. Busy, busy, busy is the name of the game. For a number of years these guys were using a static website, with zero platform, that required 100% webmaster intervention to post updates to the site. No need explaining any further how inefficient that was. Beyond that, in terms of style, features and content, the site was also behind the times. 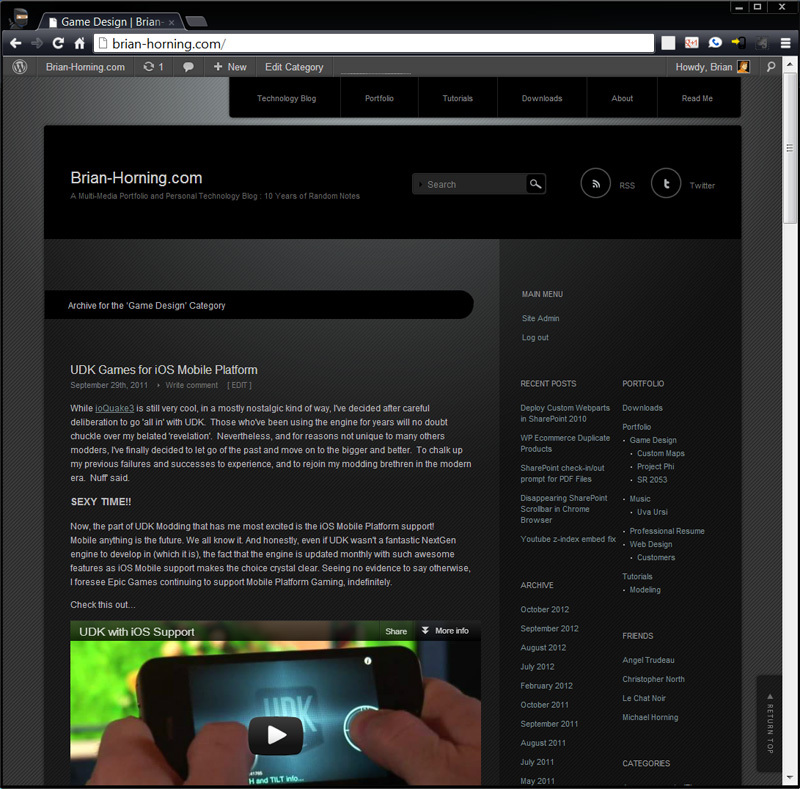 LCN desperately needed a platform that didnt require a webdesign background to post new content. They needed something simple, yet modern, and with all the latest features and capabilities, thank you. Obviously, we delivered on all these points – allowing these guys to focus on their true crafts.